Important Note!! 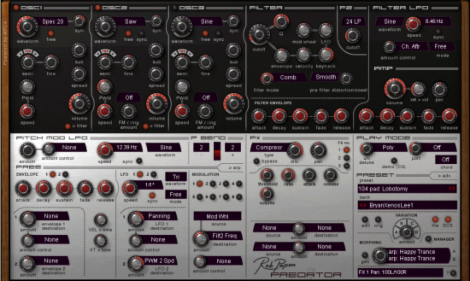 Predator 1.5.5 or higher is required for these patches to sound or work properly. This update is free and available for download at RobPapen.com. Note: This product will be discontinued after December 4, 2017. Contains 241 presets! Compatible with both the Predator VSTi and Reason Rack Extension. Please note: This is NOT a VSTi plug-in.